Patio doors are a popular home improvement in Peterborough thanks to the classic style and exceptional beauty they provide. You will be able to enjoy extensive views of the outdoors through the vast panes of glass, as well as your home being flooded with natural light. They are a fantastic choice for creating a feeling of spaciousness in your property, enhancing the experience that you have of living there. Art on Glass are double glazing experts, and we supply and install the most incredible patio doors throughout Peterborough. We are highly regarded for our quality products and our superb customer service, making us one of the most popular double glazing installers. Read our guide and see how these doors could benefit your home. These stunning sliding doors feature the most advanced security features, ensuring that your home and family are protected against even the most determined potential intruders. Every door we install is fitted with the revolutionary Yale modular locking system, which provides superior locking for sliding doors. We also fit our patio doors with high tensile steel shootbolts which create extra locking points at both head and sill for maximum security. The profile of our sliding doors is super strong, which when combined with these locking mechanisms, ensures that you can be completely confident in the protection your new doors provide. When you choose to have your new door from Art on Glass, you will benefit from the very latest innovations in design and technology. 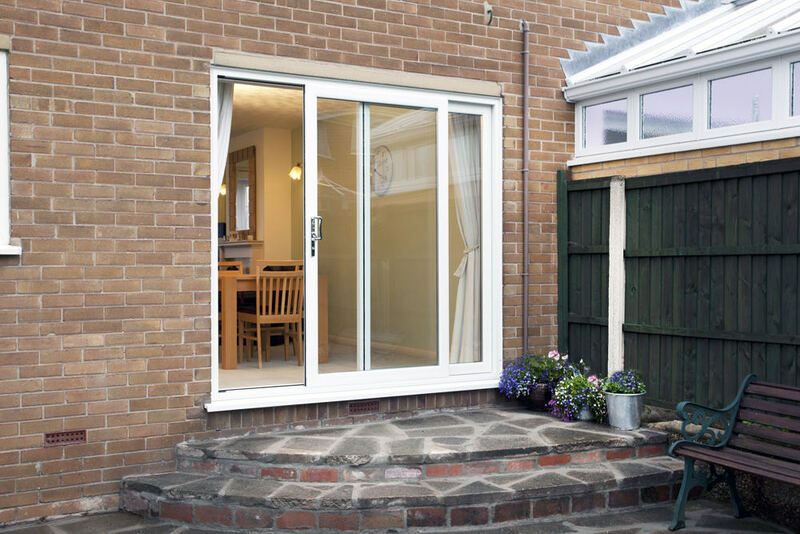 Our patio doors in Peterborough have a multi-wheeled ‘air-glide’ running system. This ensures that year after year, you will have a perfectly balanced mechanism that provides smooth gliding and operation. We also pride ourselves on the brilliant safety features incorporated into our doors. They have a unique ‘finger-traps-free’ design which is ideal for families, as inquisitive little fingers will be kept safe from harm with our sliding doors. All of this is finished off with our superb Part-M compliant threshold options. You can have complete accessibility, giving you easy entry to your outdoors space, by choosing from a range of low thresholds and wheelchair-friendly ramps. Our patio doors in Peterborough are intelligently designed and precision engineered to ensure that they offer simplicity to homeowners. Our uPVC windows and doors are constructed using the Liniar design, which means you will benefit from superior thermal performance. Liniar is renowned for the energy efficient double glazing they create, and our patio doors are no different. The large panes of glass encourage the sun’s warmth into your home, and the multi-chambered profile ensures it is unable to escape. With our incredible doors, your home will be warm and cosy even on the coldest of winter days. In fact, the heat loss is so minimal, that you will find your property stays warmer for longer, resulting in you using less heating, and as such making savings on your energy costs. Our uPVC patio doors are exceptional, and this means that they will last for many, many years. When you choose Art on Glass as your double glazing installer, you can have peace of mind that your new sliding doors are a long term home improvement. We provide a 10 year manufacturer’s guarantee to all our customers when we install their new double glazing. This means that should anything go wrong with you patio doors, they are covered. Our patio doors are manufactured to the highest standards from the very best materials. They are built to last, and with minimal maintenance too. All you will ever need to do to ensure your patio doors operate at optimum levels and look just like new year after year, is give them the occasional clean. It really is that simple. They will never warp, rot or fade, no matter what the British weather throws at them, making them a cost-effective home improvement. Patio doors prices in Peterborough from Art on Glass are superb. We offer competitive double glazing quotes, tailored to every customer’s specifications. 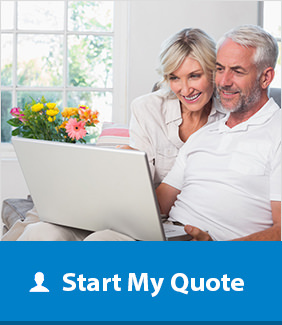 For your personal home improvement costs, visit our online door designer, or get in touch with our friendly and highly trained team who will be happy to help.